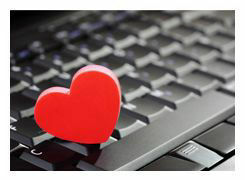 Coltrin worked with eHarmony to leverage the results of the study to create a greater public awareness of the positive benefits of meeting someone online, as well as eHarmony's leadership role in the online dating market. Print and Online: 70 Print and Online outlets covered the study, including Forbes, USA Today, The Huffington Post, The Wall Street Journal, Yahoo!Shine, TIME Magazine and U.S. News & World Report, to name a few. Not included in these totals are all the social media and radio impressions that added to the international conversation generated by this study.